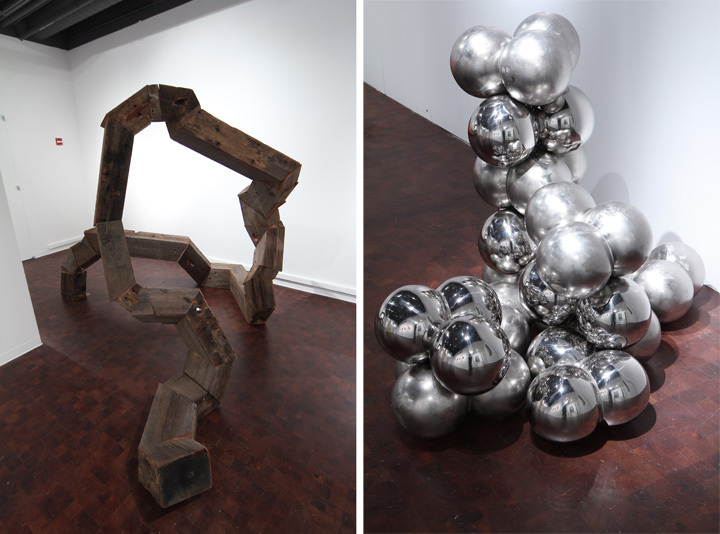 This month we are highlighting exhibits where artists create work from discarded or everyday and industrial materials. Then, if you’re feeling inspired we’ve listed a couple ways you can get creative too. January 20 & 21st San Francisco Dump, 503 Tunnel Ave, Artist in Residence Exhibition opening. Did you know that the SF Dump has an art program? 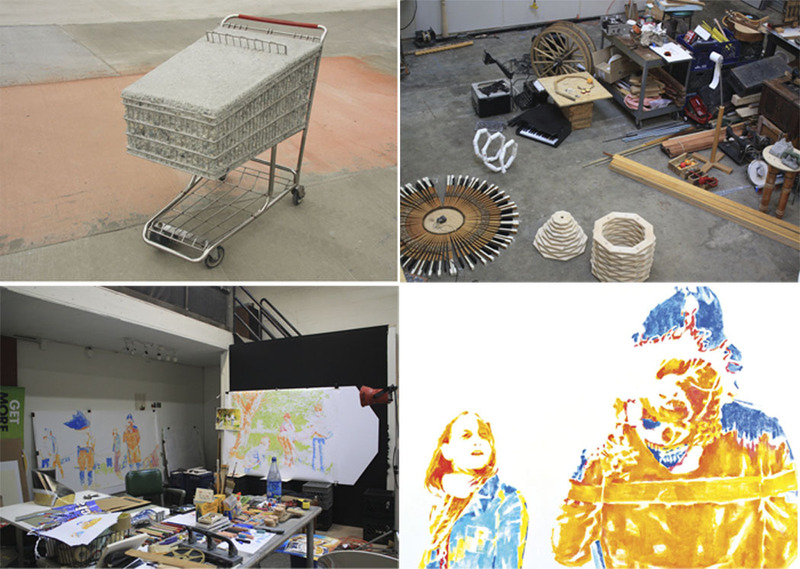 The Artist in Residence Program at Recology SF is a one-of-a-kind program where artists work for four months in studio space on site, use materials recovered from the Public Disposal and Recycling Area, and speak to students and the general public. The program at Recology SF will host an exhibition and reception for current artists-in-residence Terry Berlier, Donna Anderson Kam, and Ethan Estess on Friday, January 20, from 5-9pm and Saturday, January 21, from 1-5pm. Ongoing until March 10, 2012 Museum of Craft and Folk Art, 51 Yerba Buena Lane. Visit Randy Colosky’s exhibit Fiat Lux of newly commissioned work. Trained in traditional ceramics and building construction, Colosky freely incorporates anything within his intellectual and physical reach to make his art. 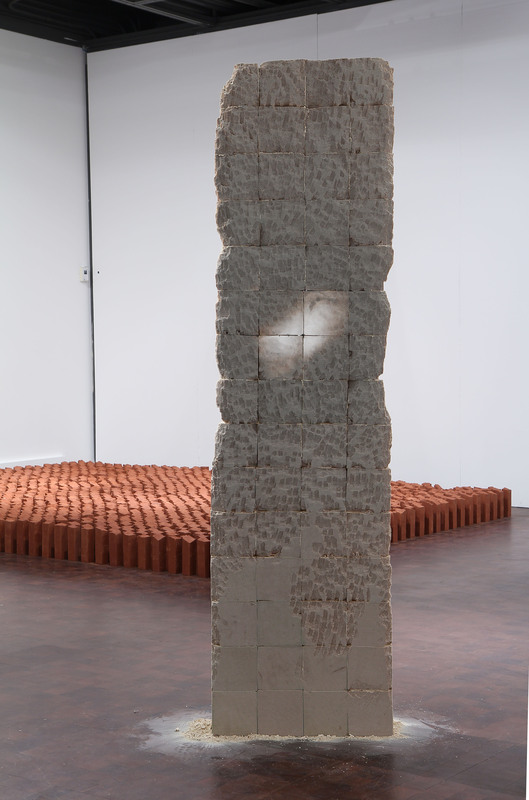 His practice is both conceptual and material-driven, and the artist works with exacting physicality using commonplace and industrial materials. Take an Art class at Root Division, 3175 17th Street. From drawing and painting to sewing and t-shirt screen printing, Root Division’s Art Education Program offers highly innovative and affordable art classes. Root Division’s Studio Artists, as well as other Bay Area professional artists, guide students through a variety of art processes, and it all happens in a friendly & engaging environment. The classes & workshops are the perfect length for the busy and non-committal, while allowing enough time for students to leave with a handmade masterpiece and sense of accomplishment! Make it at MOCFA, Saturday, January 14th, 51 Yerba Buena Lane, 2-4pm with artist Stan Peterson. Come get your hands dirty at this family friendly event. “Construction is collaboration” is a quote from Randy Colosky, the artist featured in the current exhibition. Guest folk artist Stan Peterson will lead this workshop.